Italian Lakes Small Group Tour with Amber Road » Our 17th year! 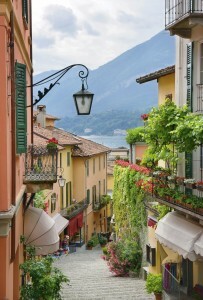 Art, culture, grand cities and the extraordinary beauty of Italy’s northern lakes. 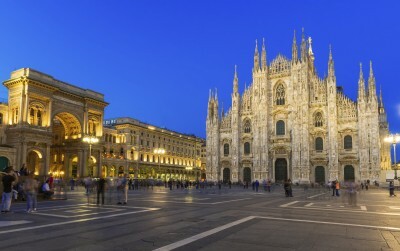 We spend our first 3 nights in Milan, the capital of Lombardia and the world of fashion. The Last Supper of Leonardo, the Duomo and the Pinocoteca Ambrosiana museum are just a few of the highlights. 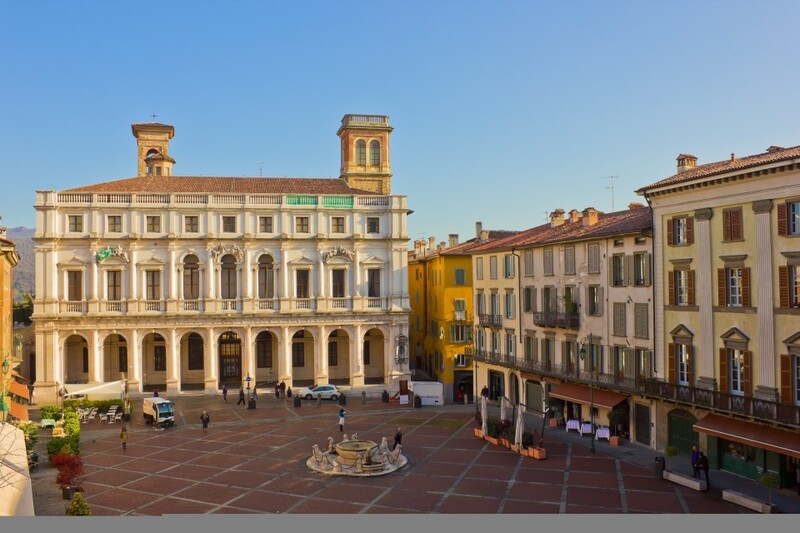 Additional features of our inland journeys are Bergamo Alta, charming Brescia, the palaces of Renaissance Mantova and the wonderful music of Cremona. Fabulous lakeview rooms in Bellagio with visits to Villas Melfi, Balbianello and Carlotta spotlight our time on Lake Como. Our visit to Lake Garda includes a boat tour around the Sirmione peninsula. 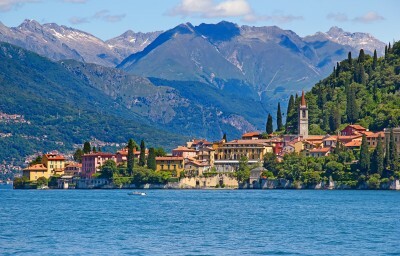 We will explore the Borromeo islands on Lake Maggiore by boat and also enjoy lakeview rooms at our Stresa hotel. Our lakes’ explorations will round out with a morning on Lake Orta and lunch at a small vintner’s farmhouse. For the 2,500 years of its history Milan has always been an important center of power, wealth and commerce. 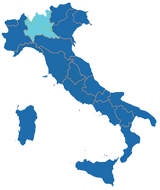 Today it is the second largest city in Italy and is the country’s capital of finance, industry, design and fashion. In 2015 it was home to the Milano World Expo. Afternoon arrivals to the Hotel Milano Scala, our lodging for the first three nights on tour. Your tour manager will be expecting you in the hotel lobby at 6:30pm from where we’ll depart for our first evening out on the town. Welcome meeting and aperitifs in the garden of a local restaurant that was originally part of a 17th century palazzo. An introduction to traditional Milanese cuisine will follow. This morning we will begin our guided tour at the enormous Sforza Castle, an integral part of Milan’s history. Built between 1358 and 1368 by Galeazzo Visconti it was later restored and enlarged by Francesco Sforza in the 15th century. Formerly a symbol of tyranny and repression the castle now houses museums, art galleries and exhibitions and is surrounded by 47 hectares of parkland. Our guided walking tour will then continue with visits to the La Scala Theater, the Piazza Mercanti, the Galleria Vittorio Emanuele and the fabulous Duomo, the symbol of Milan and the fifth largest church on this planet. Begun in 1386, it took most of six centuries to complete. Saturday evening is a great time to dine on your own in Milan. The Cenacolo Vinciano, the Last Supper by Leonardo da Vinci is housed in the refectory of the Santa Maria delle Grazie Church. 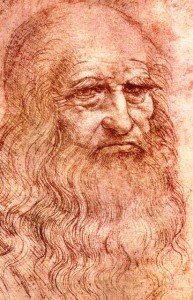 Painted between 1494 and 1498 Leonardo abandoned the traditional al fresco method (painting on wet plaster) for an experimental al secco (painting on dry wall) that resulted in much deterioration and successive restorations, the latest in 1999. It remains one of the world’s most celebrated works of art. Established in 1618 the Pinacoteca Ambrosiana has one of the finest art collections in Italy, featuring works by Caravaggio, Raphael, Botticelli, Brueghel, Titian and many 18th, 19th and early 20th century artists. The Ambrosiana also features the Codex Atlanticus, an entire collection of Leonardo da Vinci’s sketches for paintings and inventions. The gallery is located on the ruins of the ancient Roman forum. The Città Alta of Bergamo, set against the Italian Alps and rising 85 meters off the valley floor, presents one of the most beautiful hill town settings in all of Italy. Narrow medieval lanes contrasted by Renaissance squares and built upon a layout of the ancient Roman municipality, Bergamo was part of Visconti territory prior to being taken by Venice in 1428. The Venetians ruled for more than three hundred years and left behind an impressive six kilometer surrounding wall with fourteen bastions and four gates. Our local guide tour will include a panoramic drive up to the old town followed by visits to the Piazza Vecchia and the Palazzo della Ragione. Cable car ride up to Colle San Vigilio to enjoy spectacular views, beautiful villas and lunch on your own at one of the panoramic ristoranti. Retreating Pleistocene glaciers left behind deep fingerlike impressions that are known to us as the Italian Lakes. This afternoon we’ll have our first encounter, arriving to enchanting Bellagio on Lake Como. We’ll be staying three nights at the Hotel Belvedere Bellagio. Lake Como is formed in the shape of an upside down “Y”, Bellagio occupying the vertex and the internal shores where the lake splits into two branches. 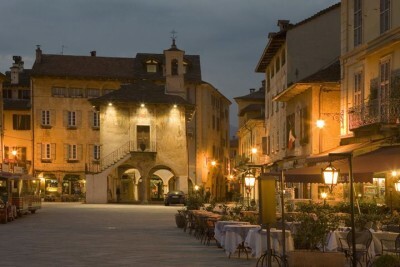 The town of 3,000 inhabitants has an intact medieval center surrounded by noble villas. Today we’ll explore the western coastline and visit two extraordinary villas. Villa del Balbianello was constructed in the early 1800s on a promontory near the town of Lenno. The beauty of the villa, its spectacular setting and vistas have made it the location of many famous films. The explorer and mountain climber Guido Monzino purchased La Balbianello in 1974 and was responsible for its final transformation. Monzino donated the villa and his “museum” to the FAI (Italian National Trust). His wonderful collections include primitive art, tapestries, paintings on glass and period furniture as well as photos and memories from his expeditions to the North Pole and Mt. Everest. Lunch on your own at one of the lakeside cafes of Lenno. Villa Carlotta was built in the late 17th century on 70,000 square meters of land between the lake and mountains at Tremezzo. The exquisite Italian gardens are decorated with sculptures and fountains but their beauty is owed to the incredible variety of flowering and tropical plants and century old trees. The villa itself is a museum of 19th century art with works by Canova and Hayez and was one of the more important destinations of the “Grand Tour”. Afternoon guided visit. This morning we’ll have a guided tour of Bellagio’s historic center with visits to the Romanesque church of San Giacomo, the La Punta viewpoint and the magnificent gardens of Villa Melzi, an early 19th century neoclassical estate. Our tour will continue with a short boat ride to the lovely village of Varenna on the eastern shore of the lake after which you’ll have lunch and the rest of the day for your own explorations. Brescia, the second most populous city in Lombardy, has a long history, beginning with Ligurians and Gauls, then as a Roman colony and afterwards a Lombard dukedom; after tumultuous centuries of various rulers it passed, along with Bergamo, to Venice. The historic center comprises a vast pedestrian zone with welcoming squares, elegant shops, cafes and restaurants. The 11th century Duomo Vecchio is a wonderful medieval round church built over a fifth century Roman basilica. 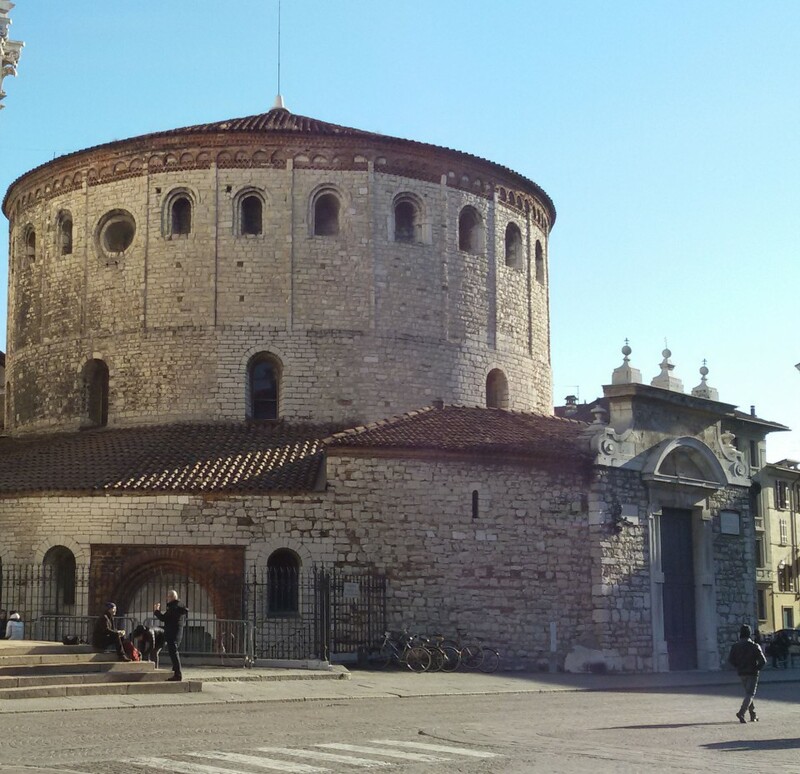 The brilliant Museo di Santa Giulia, housed in an 8th century Benedictine monastery, recounts the story of Brescia from prehistoric times to the present and includes wonderful Roman mosaics and medieval frescoes. 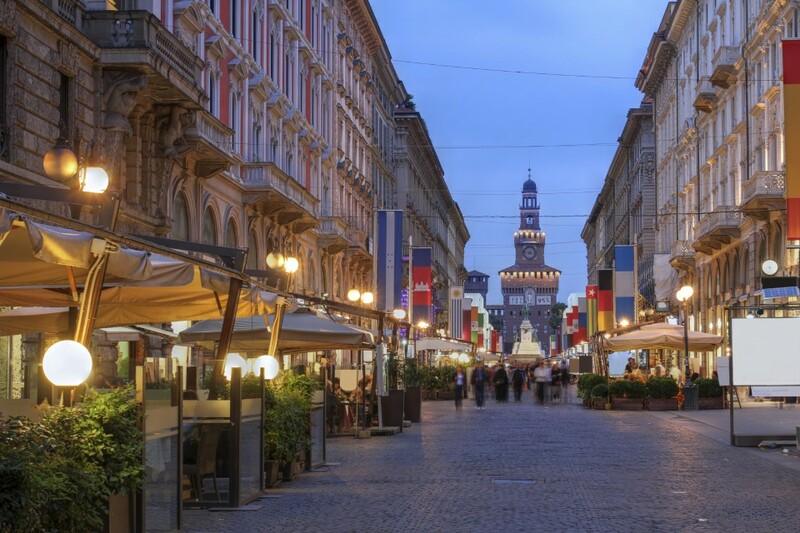 This morning you’ll have free time to explore, to wander and to lunch in the lovely Piazza Paolo Sesto. Mid afternoon departure for Mantova. Our lodging for three nights is the Hotel Casa Poli located in a 19th century structure, a 10 minute walk from the historic center. 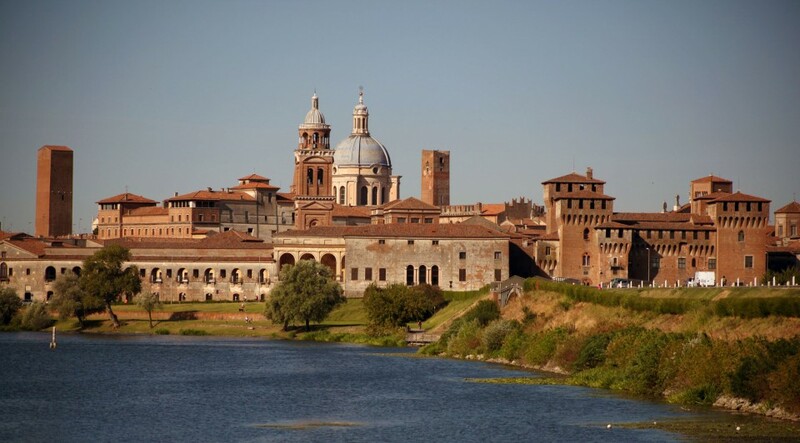 Mantova was founded by Etruscan peoples around the 6th century BC and in 214 BC became a Roman colony. In the 12th century, as an independent commune, a system of defense was created by deviating the waters of the River Mincio to form four lakes around the city thereby transforming Mantova into an island. Two bridges, still existing, consented entrance or exit. Later the city was divided in two by the construction of a canal to connect two of the lakes. Today it is still surrounded on three sides giving the magical appearance of a town arisen from the waters. Before arriving to our hotel we’ll have a guided walk through the city including a visit to the Teatro Scientifico Bibiena. The theater was opened in 1769 and officially inaugurated by the 14 year old Wolfgang Amadeus Mozart. It is a unique masterpiece constructed in the shape of a bell with gorgeous arched box seats. 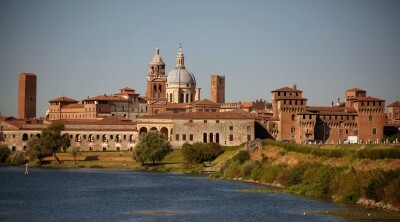 In their four centuries of rule (1328- 1707) the Gonzaga family created a period of political and economic stability and changed Mantova into an artistic and architectural jewel, the city reaching its maximum splendor in the 15th and 16th centuries. The enormous Palazzo Ducale, the abode of the Gonzagas, has some 500 rooms displaying frescoes by the most important artists of their day including Mantegna, Tintoretto, Ruebens and Pisanello. The construction of Palazzo Te began in 1527 as a guest palace for the duke’s mistress. The architect Giulio Romano created a Renaissance masterpiece blending incredible structures with marvelous frescoes. Cremona is most famous for three things – its extraordinary 111 meter bell tower, the Torrazzo; a delicious Christmas sweet made from almonds, honey, sugar and egg whites – the torrone; and the best made violins in the world. It also boasts a beautiful Duomo complex and one of the best preserved medieval squares, the Piazza del Comune. Here in 1530 Andrea Amati invented the violin, a passage from plucking the strings a pizzico (with the fingers) to using a bow. In the 17th and 18th centuries violin making was raised to greater heights with the master liutai Andrea Guarneri and Antonio Stradivari. Morning visit to a lute maker’s workshop, a violin recital in the baptistery and guided tour of the historic center. We’ll spend a very pleasing and musical afternoon at the Museo del Violino. 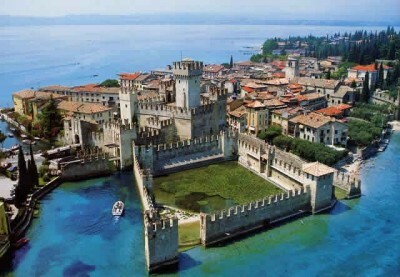 Sirmione on Lake Garda has been inhabited since prehistoric times. Wealthy Romans constructed vacation villas here and enjoyed the thermal waters that bubble up from the lake bottom. Situated on a peninsula on the southern end of the lake it had a strategic military importance up through medieval times, as evidenced by the 12th century Scaliger Castle. Today it is a picturesque tourist town with a charming historic center and many restaurants offering al fresco dining around the main square. Included boat trip around the peninsula. Transfer to the shores of Lake Maggiore in the region of Piemonte where we’ll be staying our last three nights on tour at the Hotel La Palma in Stresa. Stresa has been a prominent tourist destination since the early 19th century. The graceful and stylish lakefront is lined with Art Nouveau hotels and fine villas and is lush with beautiful gardens. It overlooks the Borromeo Islands that take their name from the family who has owned them since the 15th and 16th centuries. Isola Bella and Isola Madre were transformed by the introduction of lavish palaces and amazing landscaping. Evening boat ride for an included dinner on Isola dei Pescatori, a picturesque fishing village of an earlier era. Lake Orta is one of the smaller of the sub-alpine northern Italian lakes, just 8 miles long and a mile wide. Lesser known and quieter, though in no way lacking in charm nor a fascinating history, Orta has been a favorite of writers (Balzac), poets (Browning) and philosophers (Nietzsche). Our mid morning departure will take us to Orta San Giulio, the most populated (1,161) of the few settlements around the lake. A boat will take us to the enchanting Isola San Giulio. A wander around this picturesque tiny island (900 feet long by 460 feet wide), ringed by lovely palaces and draping wisteria vines, will lead us to the beautiful and interesting 12th century Romanesque basilica. Midday visit to a small award winning cantina for a taste of their Nebbiolo wines and “zero kilometer” local products. Our final morning begins with a boat ride to visit the most beautiful and remarkable botanical gardens of Isola Madre, boasting rare plants from the world over. The palace has splendid Borromeo furnishings and 18th century marionette theaters. At Isola Bella we’ll have a guided tour of the ornate palazzo that is full of surprises and includes the extensive Borromeo collection of precious art. Lunch on your own. Late afternoon free prior to our included farewell dinner. The hotel can be reached from the Milan Malpensa Airport via the Malpensa Express train to Milano Cadorna train station in 30 minutes and then 5 minutes by taxi. If you are flying into Milan Linate Airport a taxi to the hotel costs 30 euro and takes 30 minutes. If you are arriving by train the hotel is just 15 minutes by taxi from the Milano Centrale station. Check-in time is 2pm but you are welcome to arrive earlier leaving your bags at reception. We recommend that you arrive no later than 5pm. Your tour manager will be expecting you at the hotel rooftop bar at 6:30pm for a welcome meeting and aperitifs. Suggestions: The May 10-22, 2019 Italian Lakes & Milan tour fits back to back with our May 23-30 Lucca, Genova & Cinque Terre tour. The September 13-25 tour fits back to back with either the Sept 5-12 Lucca, Genova & Cinque Terre or the September 25-Oct 6 Venice, Veneto & Alto Adige tours. There is a lot of walking on this tour and you will be on your feet several hours each day. There are inclines and steps in Bellagio. This tour is not suited for anyone who has problems with knees, back, heart, obesity or those who cannot manage steps and moderate inclines. Age is not important as long as you are reasonably fit and a good walker. If you have mobility issues this is not the right tour for you. Please call us if you have questions. All ground transportation Days 2 to 12. Transfers on Day 13 to Milan Malpensa airport or Stresa train station. 12 nights’ hotel accommodation with breakfast, 6 dinners and 1 lunch including beverages (wine or beer or soft drinks and water). Admissions to all sites visited as a group, as listed in bold on the tour itinerary. Air transportation, Day 1 airport or train station transfers, all meals not listed above, room service, phone calls, etc. Our hotel in Milan can be reached from the Malpensa airport via the Malpensa Express train to Milano Cadorna train station in 30 minutes and then 5 minutes by taxi. Check-in time is 2pm but you are welcome to arrive earlier leaving your bags at reception. We recommend that you arrive no later than 5pm. Your tour manager will be expecting you in the hotel lobby for a welcome meeting at 6:30pm prior to our welcome dinner. Morning transfers will be to Milan Malpenso airport and Stresa train station. Leonardo da Vinci’s the Last Supper at Santa Maria delle Grazie is included based on availability of tickets and is not guaranteed. Steps and inclines in Bellagio. The rest of the walking on this tour is not difficult. However you will be on your feet several hours each day. If you have mobility issues this is not your tour. Are located within historic districts. 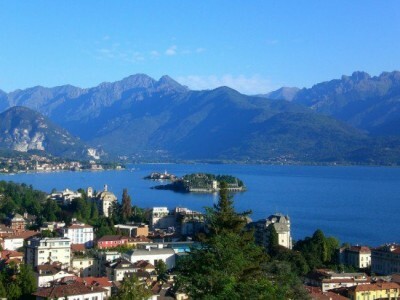 The rooms in Bellagio and Stresa are lake view rooms. The hotel in Mantova has queen bed rooms and triple rooms (one queen and one single bed), no twins. We have space available for up to 3 singles on each of our tours. They are provided with single-use double rooms. The additional single supplement cost is 1400 euro. Please contact us for availability prior to booking.